Betsy R. Snyder is a Director in S&P Global Ratings Corporate Ratings group. She joined the company in 1990 and specializes in coverage of transportation companies, including aircraft lessors and the airline industry. She also works extensively on Structured Finance transactions related to her areas of specialization. Prior to joining S&P, Betsy was an equity research analyst for Merrill Lynch and L.F. Rothschild. Betsy holds a bachelor of science degree in Business Administration from Northeastern University and a master of business administration degree in Finance from Fordham University. She is also a Chartered Financial Analyst. Betsy is a Trustee of the ISTAT Foundation and a member of the ISTAT International Appraisers' Program Board of Governors. In addition, she holds membership in several industry-related organizations. Betsy R. Snyder is a Director in S&P Global Ratings Corporate Ratings group. She joined the company in 1990 and specializes in coverage of transportation equipment lessors in all sectors and the airline industry. She also works extensively on Structured Finance transactions related to her areas of specialization. Prior to joining Standard & Poor's, Betsy was an equity research analyst for Merrill Lynch and L.F. Rothschild. Betsy holds a bachelor of science degree in Business Administration from Northeastern University and a master of business administration degree in Finance from Fordham University. She is also a Chartered Financial Analyst. 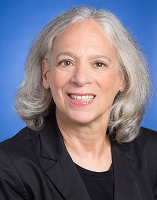 Betsy is a Trustee of the ISTAT Foundation and a member of the ISTAT International Appraisers' Program Board of Governors. In addition, she holds membership in several industry-related organizations.